With Christmas coming most if not all of us are creating our Christmas gift shopping list, except of course for those who, like Ebenezer Scrooge of Charles Dickens “A Christmas Carol”, say “Bah, Humbug” and refuse to get involved in the celebration or the giving. The rest of us however are looking for the right gift for each of the ones we love, and if the person you are Christmas shopping for is a gun enthusiast, or if you are the gun enthusiast planning to treat yourself, then sometimes a book can be a perfect choice. Personally I have an interest in cartridge conversions and in cartridge collecting so that steered my book buying in the direction of finding books that would help with that. I’m old now and so the books I bought four decades ago are getting harder to find, but the information and wisdom contained in them is as relevant today as it was back in the seventies and eighties, back in the “DBG” (Days Before Google). 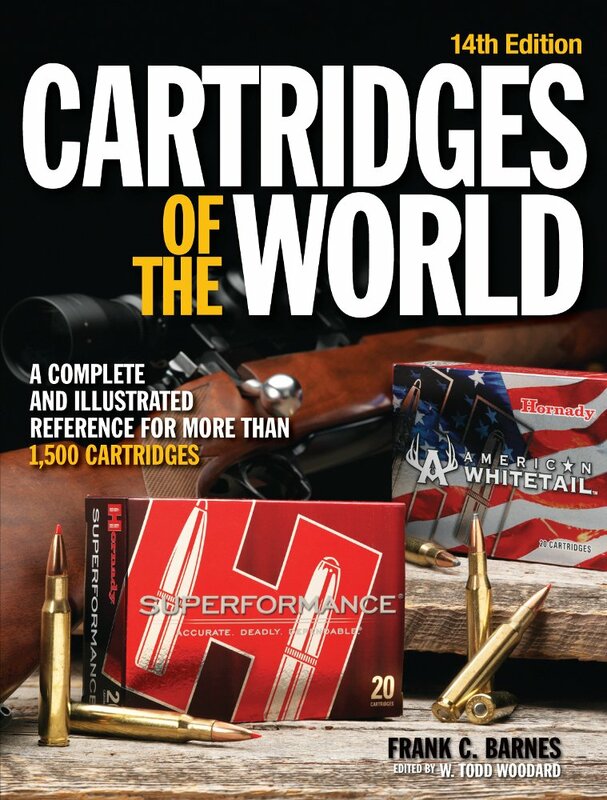 The first book I’d recommend for someone who is interested in reloading and perhaps even in creating their own “wildcat” cartridge is P.O. Ackley’s “Handbook for Shooters and Reloaders”. This book originally came in a hard cover two volume set and it was these two books that I devoured when I first started reloading. Nowadays only Volume I is being printed and that is sufficient as it contains all of the core information. Volume II was primarily a listing of some additional wildcat cartridges. You can find the current printing of P.O. 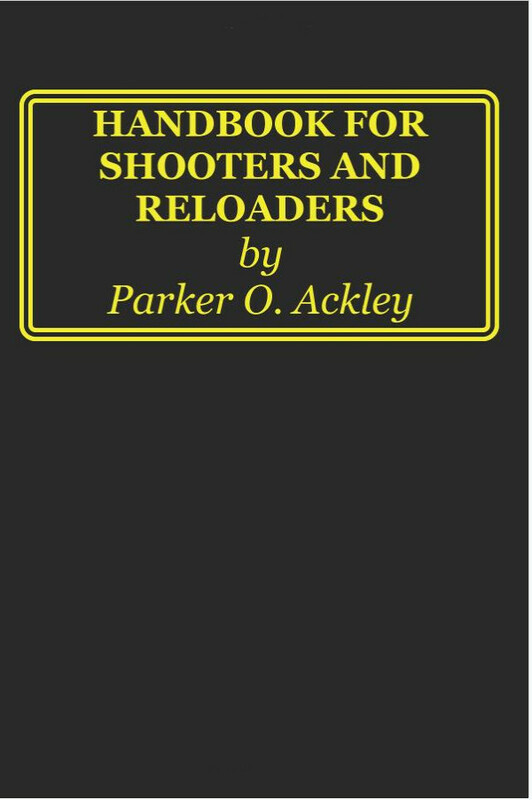 Ackley’s “Handbook for Shooters and Reloaders” on Amazon if you click here. Copies of the original two volume set are also still available. They are often second hand and are more expensive as they are collector books. You’ll find Amazon’s complete listing if you click here. The second book I’d specifically recommend for those seeking to create cartridges for and old or obsolete firearm is Major George C Nonte’s “The Home Guide to Cartridge Conversions”. This is another book I purchased early in my shooting and reloading career and it paid dividends, especially in getting my 6.5x68mm Schuler rifle shooting back when neither ammunition nor cases could be obtained. 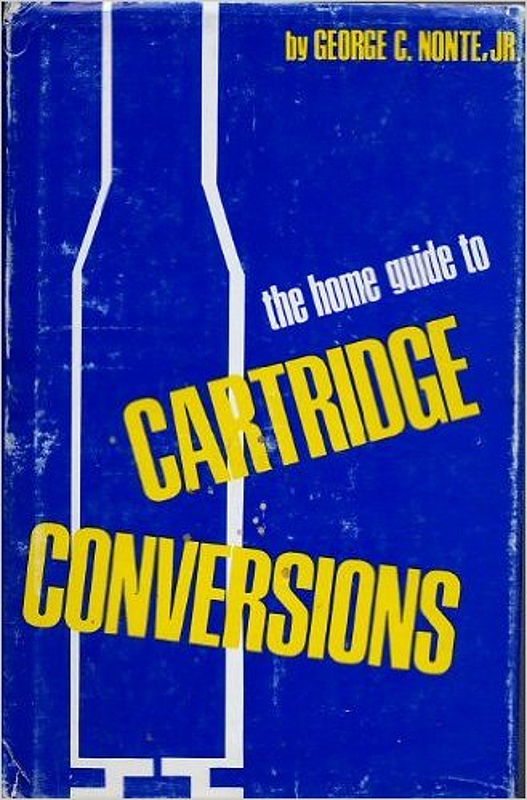 You will find Major George C Nonte’s “The Home Guide to Cartridge Conversions” on Amazon if you click here. Information on old and obsolete cartridges is always useful and interesting. The old saying “There’s nothing new under the sun” often holds true so before leaping in and deciding to create your own wildcat cartridge it can be wise, and often cheaper, to see if anything like it has been done before. For example you might be exotic enough in your thinking that you reckon “I could neck down a .404 Jeffrey to .375 and make something that’s rimless and even better than the .375 Holland and Holland Magnum. You could indeed. The cartridge thus produced is a fabulous cartridge. It was called the 9.5x73mm Miller and Greiss. You’ll know this if you have spent some time reading “Cartridges of the World” by Frank Barnes. Below is an example of the nature of the references in this fascinating book. 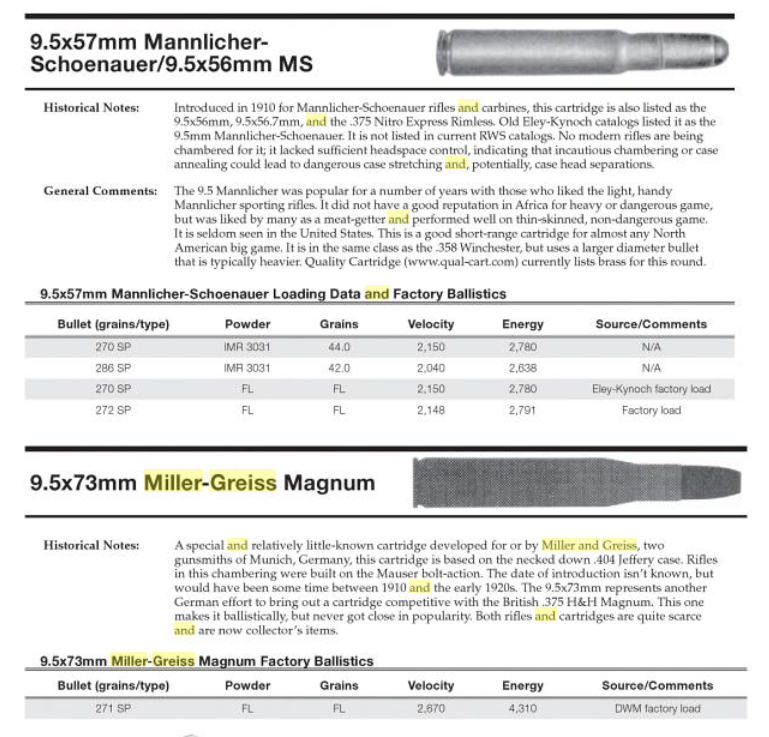 The part of the page illustrated below shows both the 9.5×73 Miller and Greiss entry and also the 9.5x57mm Mannlicher-Schönauer cartridge as we featured a Mannlicher-Schönauer carbine in 9.5x57mm recently. Frank Barnes “Cartridges of the World” was one of the first shooting books I read from cover to cover. The edition I purchased many moons ago can still be found on Amazon if you click here. The fourteenth edition can be found if you click here. Another book that is worth a look is “The Handloader’s Manual of Cartridge Conversions” by John and Judy Donnelly. It is an excellent resource although not without its critics. Some of the information in the book is a bit dated but it is still a highly regarded resource for anyone getting into cartridge conversions. 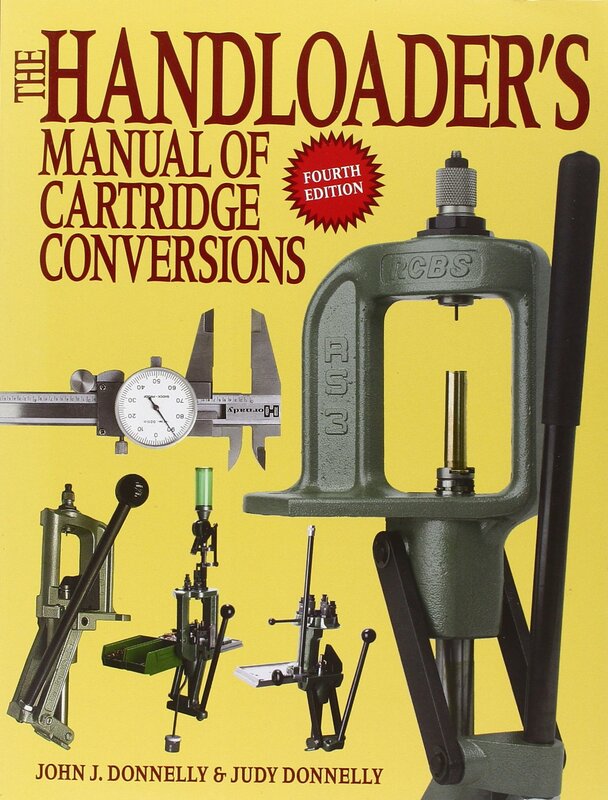 You can find “The Handloader’s Manual of Cartridge Conversions” by John and Judy Donnelly on Amazon if you click here. 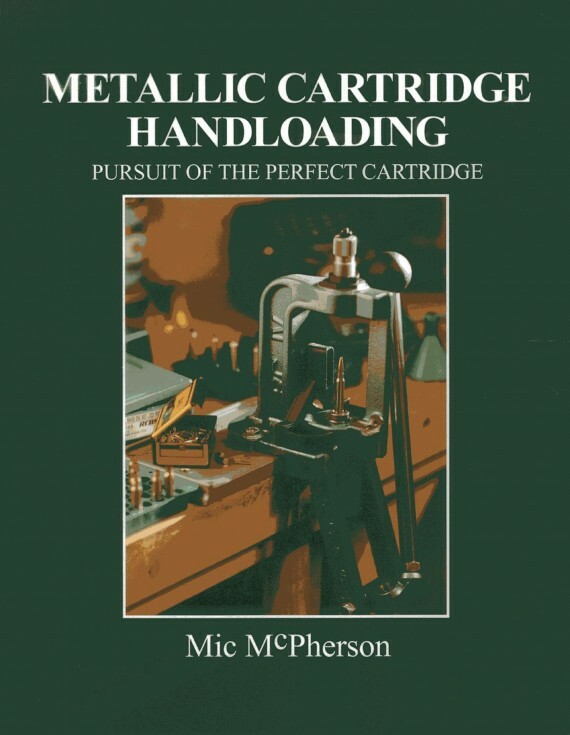 Before we look at a few of the many available reloading manuals there is one more book that comes highly recommended, “Metallic Cartridge Handloading: Pursuit of the Perfect Cartridge” by Mic McPherson. This is a book that is all about creating perfect cartridges. It’s a book I wish I’d had when I first started into reloading, and especially once I got into reloading accurate rifle cartridges. You’ll find “Metallic Cartridge Handloading: Pursuit of the Perfect Cartridge” by Mic McPherson on Amazon if you click here. I have a few reloading manuals sitting on my bookshelf. They are ones I’ve chosen because they contain information that is valuable and although all reloading manuals cover the same necessary material each one has some unique material to share with its readers. When choosing a reloading manual your choice should primarily be guided by what components you are planning on using and on what calibres you are planning to reload for. There’s not a lot of point in purchasing a reloading manual if it doesn’t cover the calibres you are reloading for. If you are reloading for common American cartridges then you will have little problem but if for example your rifles are chambered for European cartridges such as the common 7×64 and 7x65R, or 5.6x57mm, 6.5x68mm, 8x68Smm or 9.3x64mm then the American reloading manuals are likely to be a source of frustration as most of them just don’t cover the common current European cartridges. This is something that I thought the makers of American reloading manuals would have made a point of including over these last few decades but most have not. I don’t think it’s excessively expensive to set up a test rifle and work up trustworthy load data for these calibres, and providing load data for these calibres then enables owners of European rifles to purchase your components and manuals. But it still mostly hasn’t happened. So, all that being said, make sure the reloading manual you purchase includes the calibres you are going to reload for and the bullets you are planning to use. If you are purchasing on-line this isn’t always easy to do. The Sierra reloading manual is one to choose if your main interest is in rifle reloading and rifle external ballistics. It has a wealth of information and insight and should be considered core reading for rifle accuracy aficionados and for those interested in longer range shooting. It doesn’t cover common current European calibres such as the 7x64mm, 8x68Smm nor the 6.5x68mm although the 7x64mm is very similar to the .280 Remington/7mm Remington Express and the 6.5x68mm is very similar to the .264 Winchester Magnum. The first reloading manual I ever owned was the First Edition Sierra, and I have a copy of the current Edition V sitting on my bookshelf today. 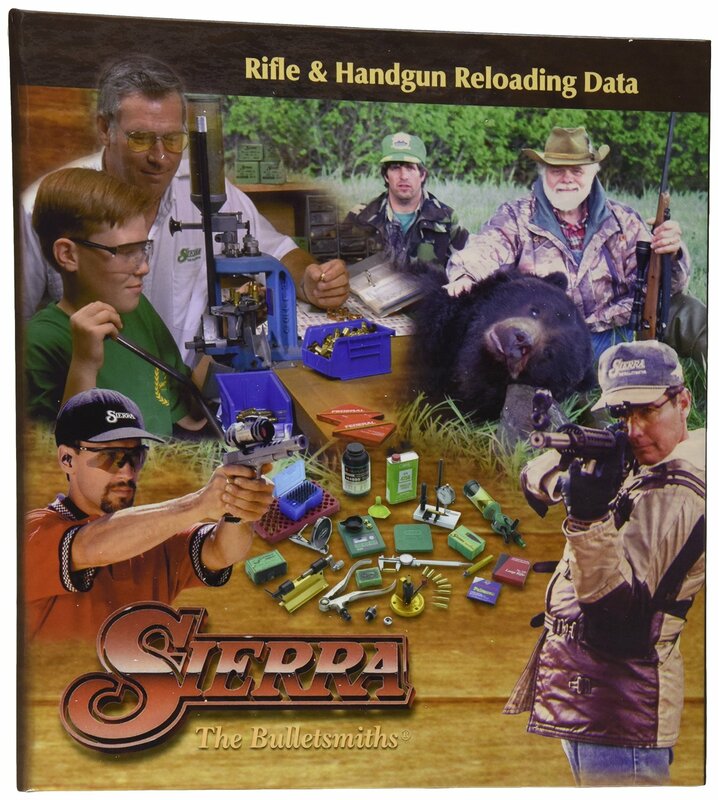 You can purchase the Sierra Rifle and Handgun Reloading Data, Edition 5 from Amazon if you click here. Alternatively you can purchase the Sierra Rifle and Handgun Reloading Data, Edition 5 directly from Sierra Bullets if you click here. 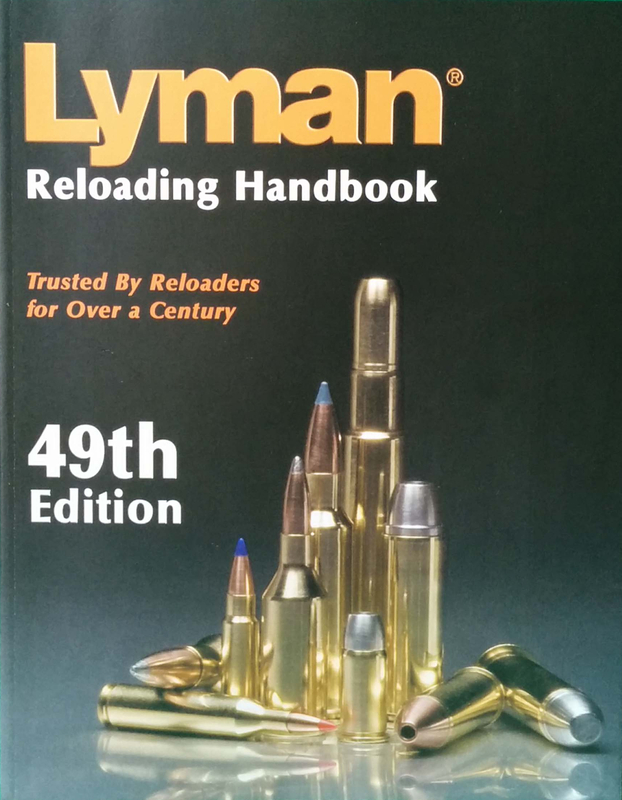 The Lyman Reloading Handbook 49th Edition is a more general purpose reloading manual that includes data for the use of cast bullets. This is one of the best and most broadly useful reloading manuals available so it’s another one that I have sitting on my bookshelf. The step by step tutorials on how to reload are clear and excellent. You will find the Lyman Reloading Handbook 49th Edition on Amazon if you click here. 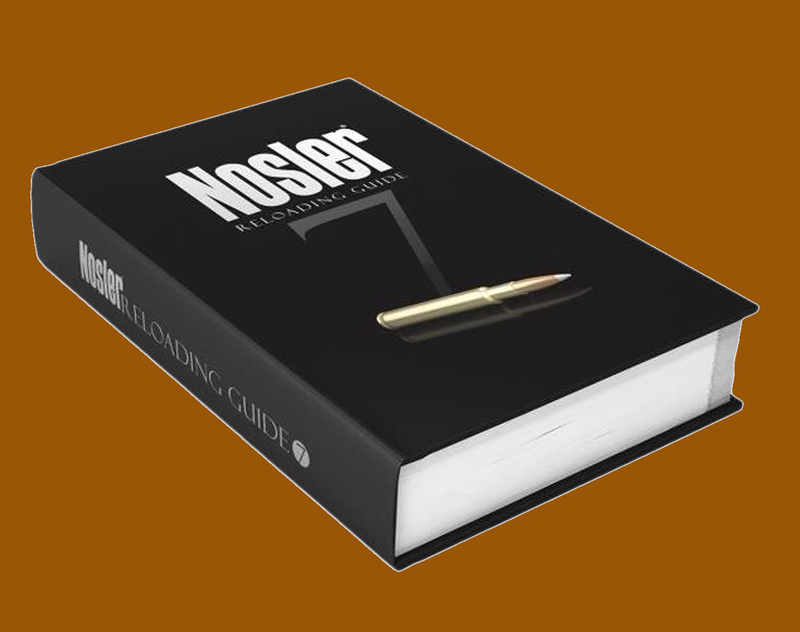 If you are planning to use Nosler bullets then this manual will be one you will want. Nosler freely publish their most up to date reloading data on-line so if you want to use Nosler bullets you can do so with confidence by visiting their web site if you click here. Nosler publish data for a few hard to find calibres and are one of few that provide data for the 9.3x64mm Brenneke. The Norma Reloading Manual Volume 2 is another one I have on my bookshelf. It is a natural choice if you are planning to use Norma components. It also provides reloading data for some less usual calibres including the 7x64mm and the 375 Holland and Holland Flanged Magnum (i.e. the rimmed version for double rifles) along with the .416 Rigby and the 470 Nitro Express. The manual contains some good information on component manufacturing and a good reloading tutorial section. 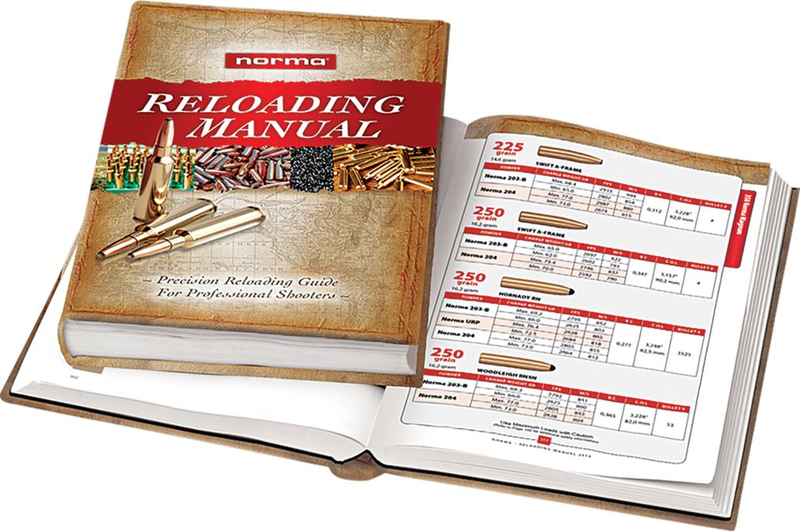 You’ll find the Norma Reloading Manual Volume 2 on Cabela’s if you click here. This is a bit of a thought starter on what books might bring the joy of Christmas to the shooter and reloader who will be looking for your gift under the Christmas tree this year. If in doubt it may be necessary to slip into the “gun room” of the person you are planning to buy for and see what they have already so you can be sure of surprising them with something they don’t have. And of course you can ask them questions to try and work out what they might really like. But if you are really stumped, and they don’t yet have the Lyman 49th Edition Reloading Handbook then you can’t go wrong with that one. There’s something in there for every shooter and reloader.